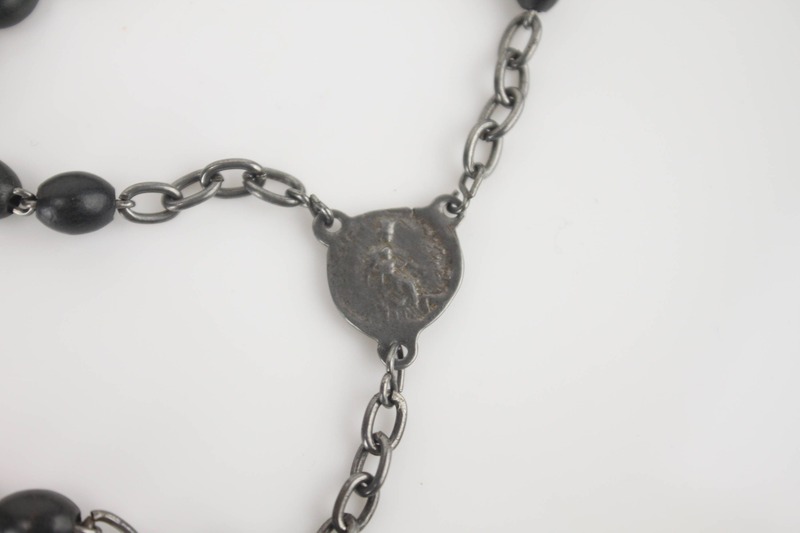 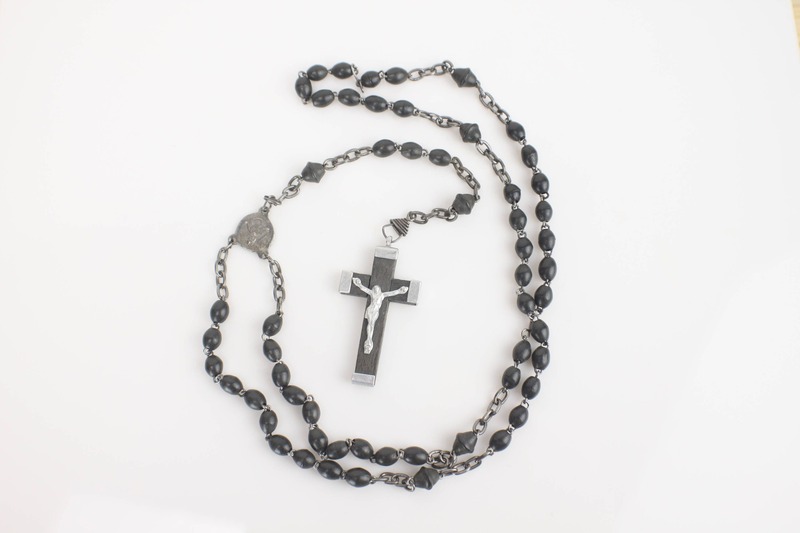 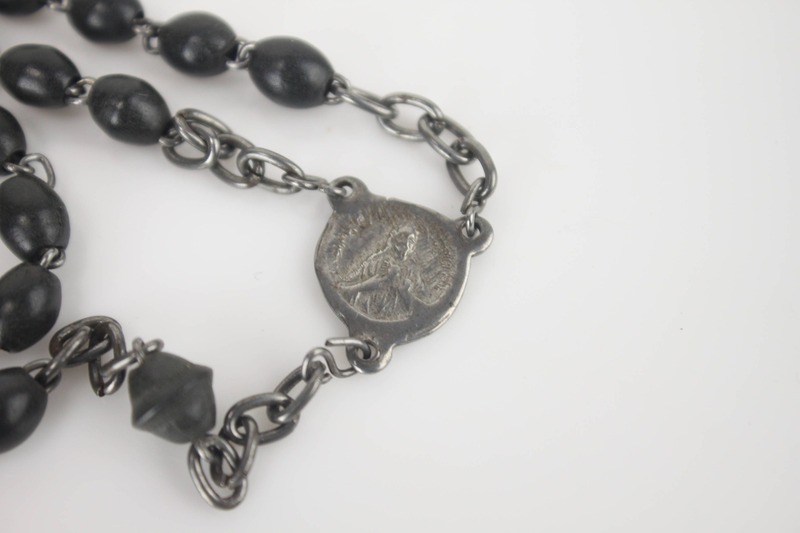 Made from silver chain with hand turned ebony beads - this piece features a sterling silver medallion that depicts a well worn image of the Madonna and child on one side and Jesus with the Sacred Heart on the other. 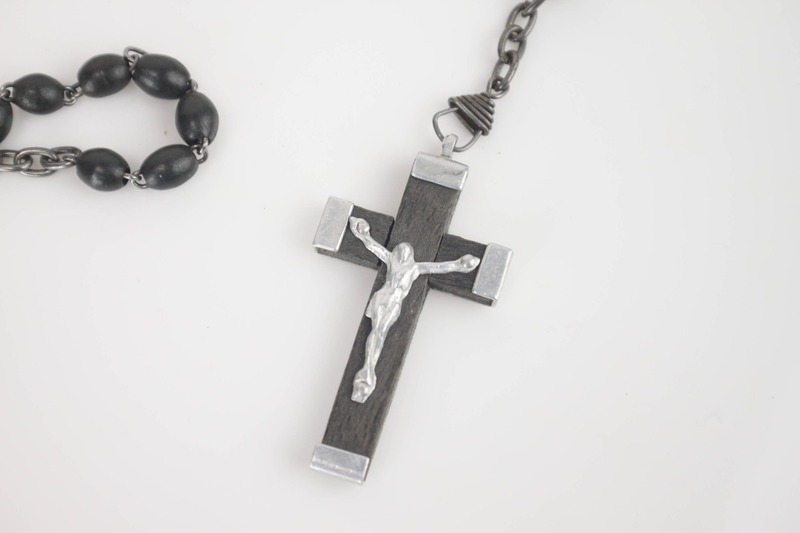 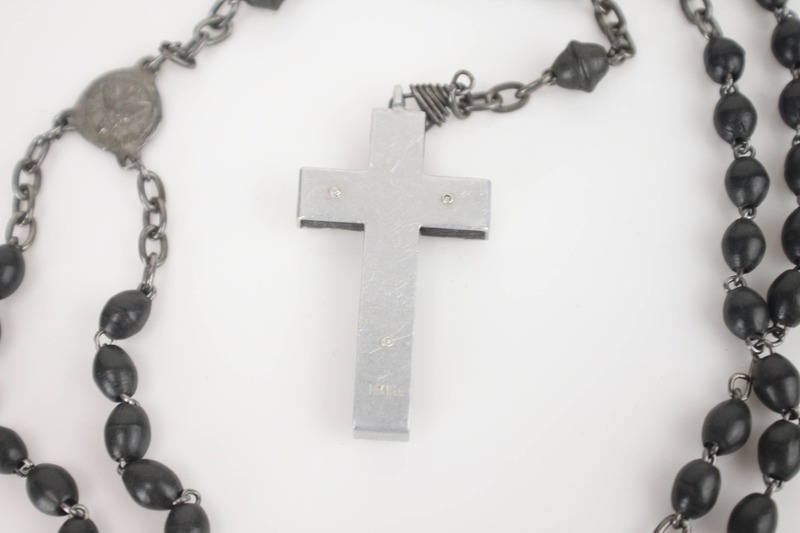 The crucifix is made from ebony wrapped in aluminum with an aluminum corpus and is stamped FRANCE on the reverse side. 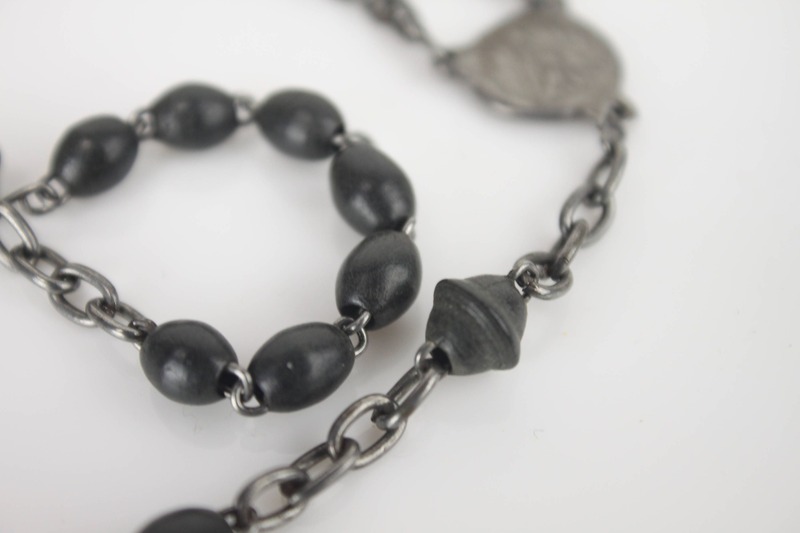 Though it is hard to date this piece - the fact that it was made with ebony beads is indicative of it being produced some time between the late 1800's and early 1900's. 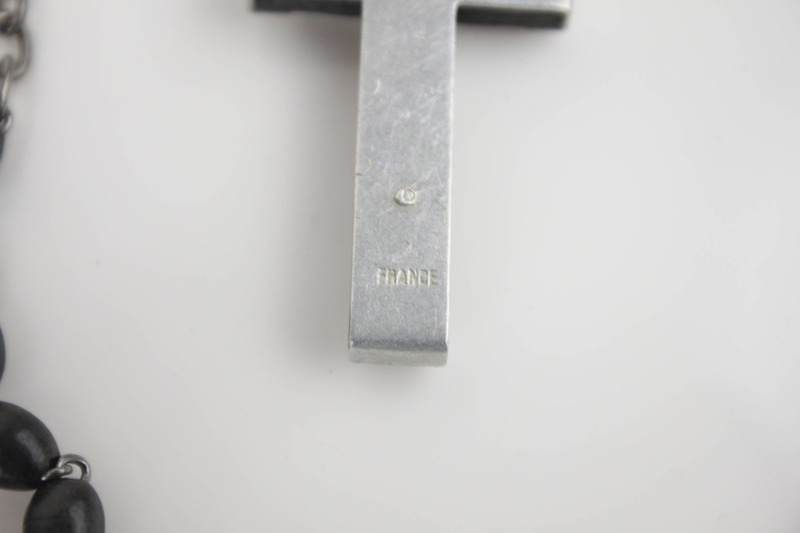 Mostly when this piece was produced the aluminum on the crucifix was worth more, by weight, than gold! 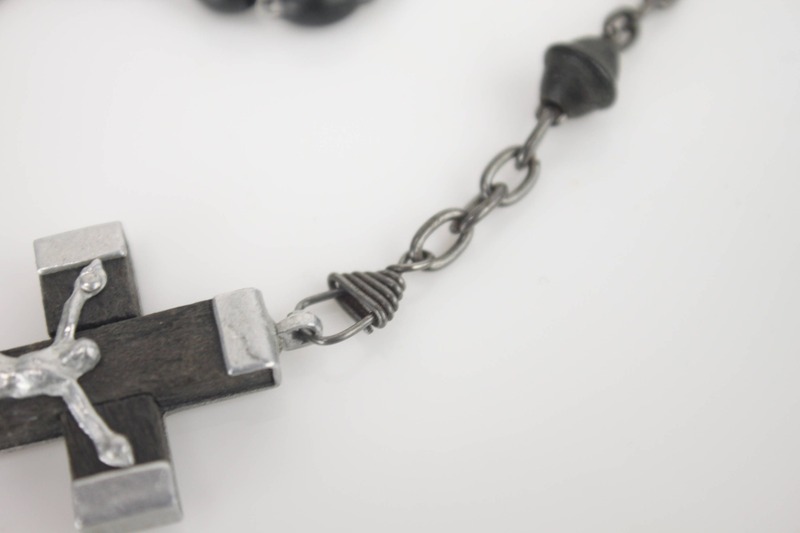 The piece proudly displays all the unique marks of a handmade piece!